Jay Cutler Exclusive: Mind-Blowing 2008 Mr. Olympia Training Program! 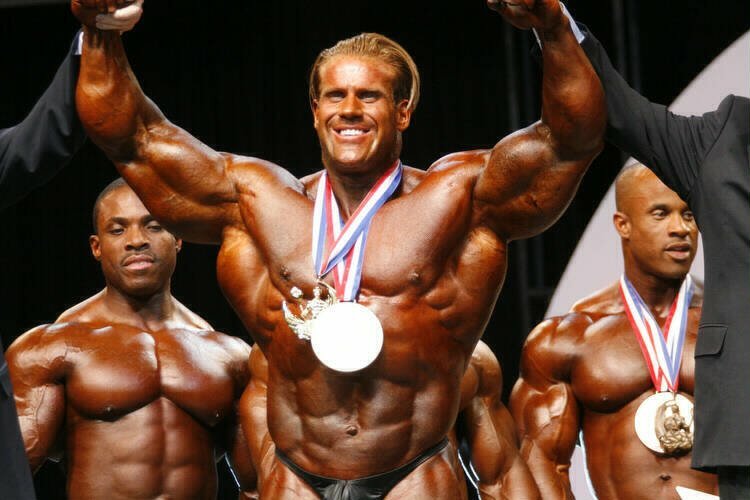 Jay Cutler is the world's best bodybuilder with a seemingly infinite training capacity. In this exclusive Jay shows exactly how he has been training for the 2008 Olympia! Check it out! At 295-off-season pounds, he defines the term "mass-monster." In a few weeks, he'll step on stage with more muscle than anyone, along with bone-dry conditioning, the sport's best chest, feathered quads and a back that'll literally eclipse the competition with each flex. 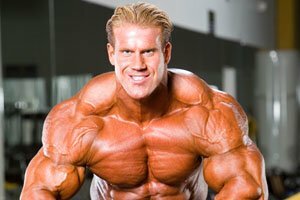 He is Jay Cutler - the world's best bodybuilder! With a seemingly infinite training capacity, his reputation as the hardest working bodybuilder precedes him. On the edge of history, Jay's a win away from being the only bodybuilder to earn three-peats in both the Mr. Olympia and the Arnold Classic Championship, so he's not leaving anything to chance. Looking back at his legendary career, Jay has come a long way from his humble beginnings in amateur bodybuilding. It seems like ages ago that Jay busted his @ss training and dieting to earn his pro card by winning the 1996 National Bodybuilding and Fitness Championships. But from there it was still an uphill battle for Jay to make a name for himself. Jay Cutler was always known to have freaky, feathered quads and sickening definition, but to be the best in the IFBB would mean developing a complete package of monster-sized muscle, mass and deep, separated cuts. As Jay entered into his first IFBB competition in 1998, he quickly found out there was going to be some tough competition on his road to the Sandow. But this only pushed Jay to train and diet harder than ever! It didn't take long for the future Mr. Olympia to make a big splash in the IFBB. In 2000, Jay won his first pro show and went on to win three consecutive Arnold Classics from 2002-2004. In 2001, Jay placed second at the Olympia Weekend. He would never place lower than this again - solidifying him as a true contender for the crown. But Jay's ultimate challenge was finding a way to knock off the reigning Mr. O. On the surface, it took Jay five tries before he finally was crowned as the best bodybuilder. But behind the scenes, Jay was training harder than ever and sticking to an ultra-strict diet year-round just to pack on enough muscle to be able to definitively beat the reigning Mr. Olympia. Four years of playing second string would be disheartening for most, but for Jay it was simply a sign that he had not peaked yet. 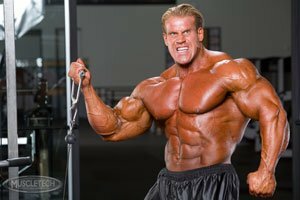 It wasn't until 2006, exactly one decade after he earned his pro card, that Jay Cutler did what the bodybuilding community knew he would one day accomplish - he methodically out-muscled the competition and won the Mr. O title with a combination of freaky muscle and conditioning that no one had seen before. And Won The 2006 Olympia. Jay was the clear, undisputed champion of the world and this year, no one could deny him what was rightfully his. And adding to his dominance, Jay won his second Mr. O title the very next year. This year, Jay's back at it again - long hours training, dieting and prepping for the 2008 Olympia. We managed to pull Jay from his busy schedule for an interview to see what kind of training plan he has in place to ensure a third Olympia title. Always making time for his fans, Jay willingly obliged and the following will provide a detailed look at how Jay Cutler is attacking the weights with a ruthless intensity this year. As a famous bodybuilder once said, the wolves coming up the hill are hungry, but the wolf at the top of the hill has the food when he wants it, it's always there. So even though Jay has had a taste of victory, he remains the hardest working bodybuilder on the planet. And with his unrelenting desire to win a third Olympia title, don't expect this workhorse to let a title slip through his fingers. Check out his training program below and you'll see the dedication it takes to stay on top. Keep in mind, Jay is a genetic freak and this routine is what he uses to win Olympia titles. Tailor the program to suit your individual needs and training level before attempting to follow it. Jay Is A Genetic Freak. To Let A Title Slip Through His Fingers. 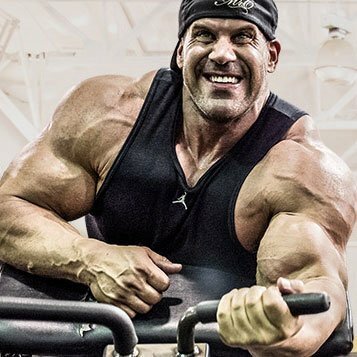 Live and Get Large with Jay Cutler! Follow this docuseries and muscle-building plan from 4-time Mr. Olympia Jay Cutler, along with over 40 other fitness plans, for only $8.99/month! Working Bodybuilder On The Planet.